Get familiar with Mallorca and get to grips with all that it has to offer. Palma’s Cathedral, museums, castles, palaces and over 4000 caves are waiting to be explored. Escape the hubbub of the city and take a stroll in any one of the rural villages with Sóller, Valldemossa and Inca being crowd favourites. Get to see another side to Mallorca as you find out all about its famous painters and composers which are still popular today; there are a lot of craft related goodies to discover. Come across more attractions than you count and fill up a photo album on your getaway to Mallorca. 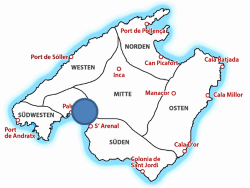 Discover Mallorca by rental car! There are more things to see and do in Mallorca than you may have realised. The idyllic island has more than a few tricks up its sleeves to keep you entertained during your summer holiday in the Mediterranean. 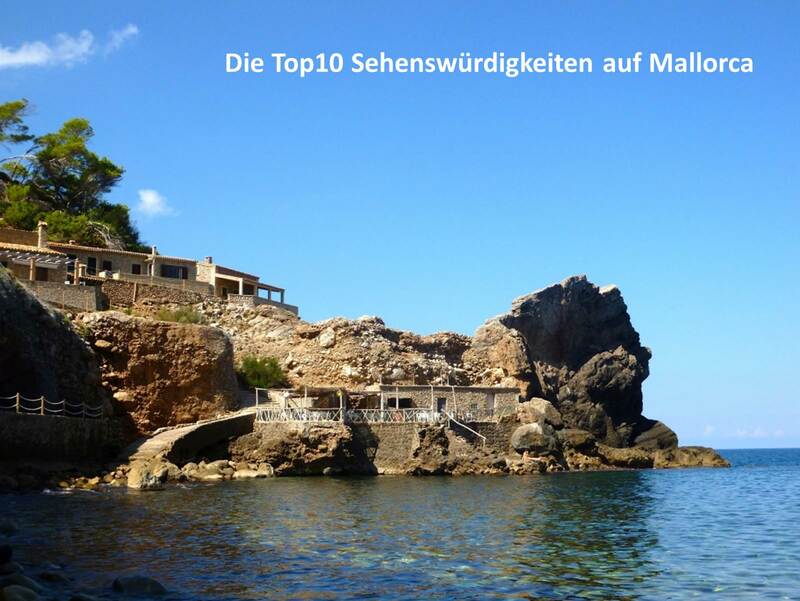 You name it, Mallorca’s got it! From natural wonders to adrenaline-pumping action and everything in between. Get in touch with the culture by popping along to its churches, castles, and manor houses. See the sights in Mallorca as you make your way through its villages and towns. 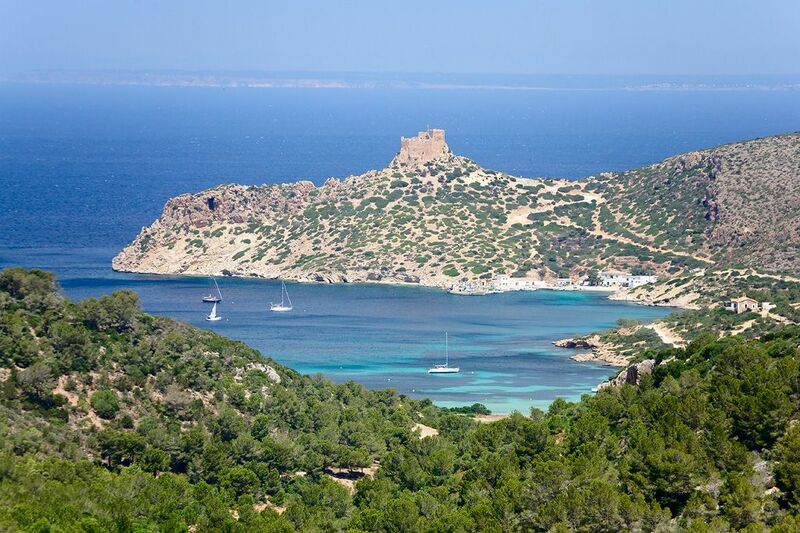 Uncover the raw beauty on the Balearic Island by getting familiar with the gardens, caves, coves cliffs and calming countryside. The capital city: Palma de Mallorca impresses visitors time and time again. The Gothic style churches have been around for over 30 centuries and point to a completely different time in history that has otherwise been erased from the island. The old town is a crowd favourite and has lots of gems which really throw you back to when the island was under Arab rule. It is apparent that much of the Moors culture has been wiped out but some of it remains – even in the language. Down the little alleys, stumble across all kinds of old-school architecture and hidden historical treats. The biggest and undeniably the most beautiful and influential building in Palma de Mallorca and quite possible the entire island is the captivating cathedral La Seu which is also known as the Catedral de Mallorca. The dramatic and massive architectural gem dominates the skyline and lights up the whole city. It sits right in front of the sea and wows everyone with its gorgeous Gothic style. Step inside and set your eyes one of the biggest stained-glass windows in the world. 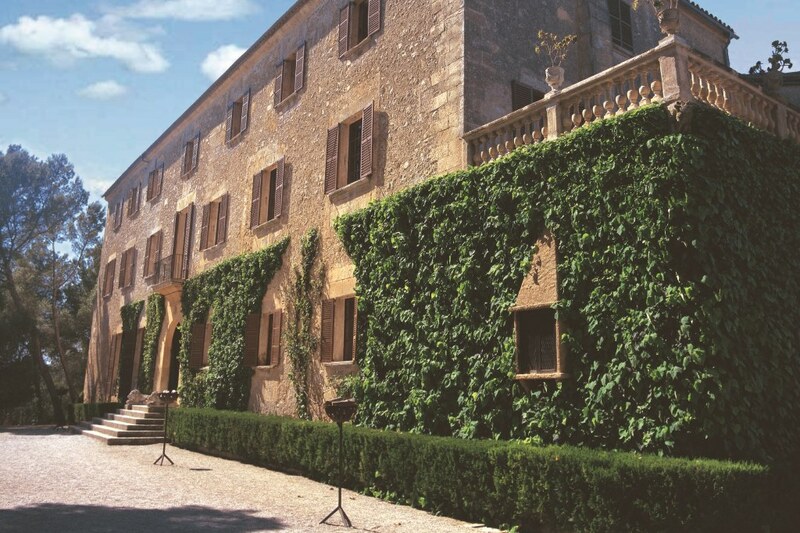 There is a wide array of museums to fall in love with in Mallorca. Art lovers and culture vultures go wild for them time and time again. Contemporary and modern art are brought together in a wonderful fusion. Come across pieces from Picasso in Palma. One of the most famous Catalan was Joan Miro, born and bred in Barcelona but admired in Mallorca as well. There are plenty of exhibitions that showcase his most influential pieces. Es Calderers is in Petra which is slap-bang in the middle of the island. Although privately owned, it is open to the public so feel free to walk around and get acquainted with its rich history which spans over several centuries. There are plenty of animals kept there that are native to Mallorca such as the black pig which is behind the traditional treat: Sobrasada. Guided tours aren’t available, so you can wander around the estate on your own. Es Calderers is in Petra which is slap-bang in the middle of the island. Although privately owned, it is open to the public so feel free to walk around and get acquainted with its rich history which spans over several centuries. There are plenty of animals kept there that are native to Mallorca such as the black pig which is behind the traditional treat: Sobrasada. Guided tours aren’t available, so you can wander around the estate on your own. Find out about tickets and prices here. The Arabs certainly left their mark on Mallorca and you can find all kinds of pieces which point back to when the island was under Muslim rule. These hidden gems are easy to spot if you know what you’re looking for. Go on a guided tour around the old town and see the amazing Arabic baths for yourselves. A four-hour excursion can be done with up to 30 people for around €200. Get in touch by using the contact form or give us a call directly on +34 871575674. Everything is done by the book so expect to be shown an official ID card. 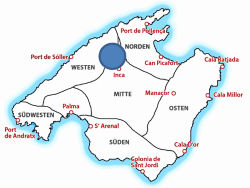 The guides re fully trained, multilingual and certified by the Balearic Tourist Board. We would like to point out that although there are guides out there who seem to offer bargain tours, these are illegal, and the police have picked up on it and are trying to combat the issue. At the end of the day, you get what you pay for. 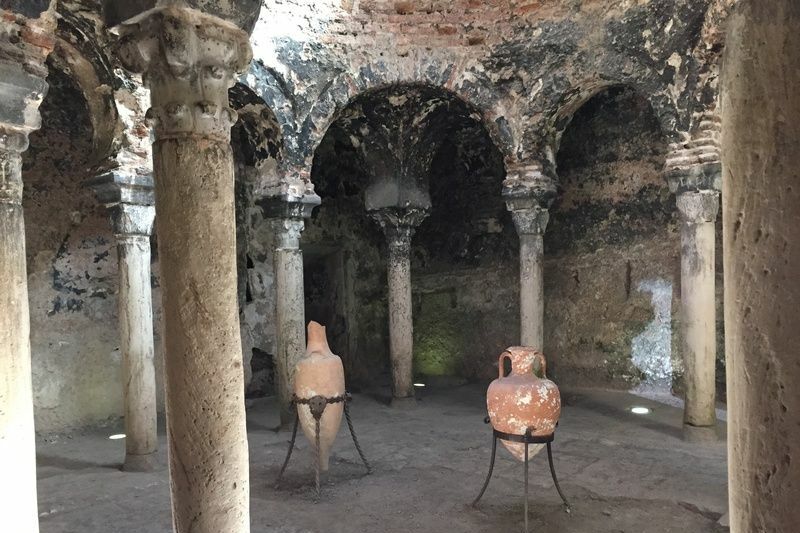 On a guided tour of Palma de Mallorca's Old Town, you will be able to visit these baths, among other places of interest. The price is about 200 € for 4 hours and up to 30 persons. Here you can book the guided city tour: +34 871575674 or contact us via contact form. 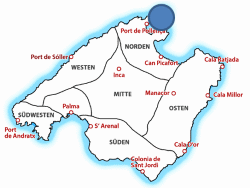 The multilingual guides are specially trained and certified by the Balearic Tourist Board. 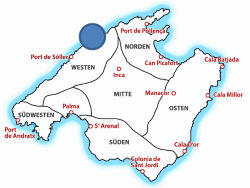 The prize is the same throughout the island and was set by the Balearic Tourist Board. We would like to point out that some guides offer significantly lower prices for city tours. These are non-certified guides who often conduct inspections illegally. Police raids are therefore increasingly frequent in larger groups. We recommend that your guide show you the official ID card. 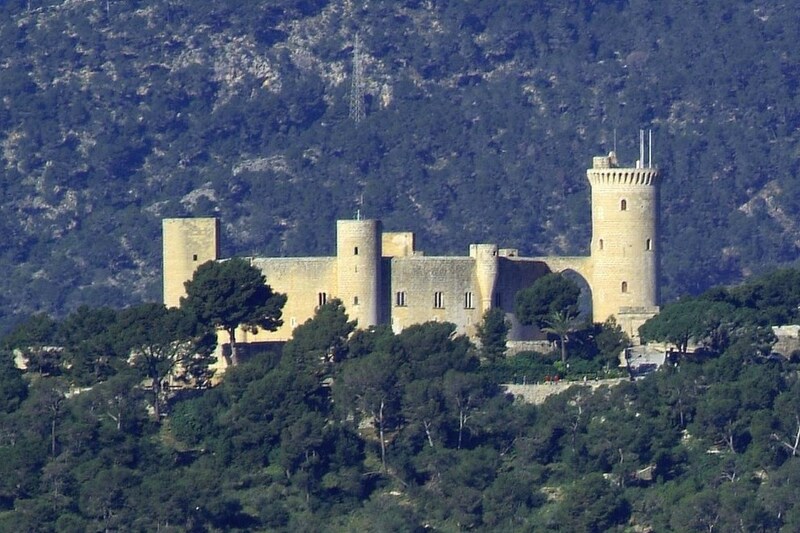 This medieval castle is on the edge of Palma and stands 112 metres above the city. 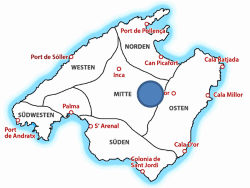 It is home to the city’s history museum but has served as a prison and been home to the Kings of Mallorca in the past. Marvel at the architecture and head into the forest to get a feel for the vibe that surrounds the circular castle. If you pick a hop-on hop-off bus tour in Mallorca, you can jump off to check out the castle and then carry on making your way around the rest of the city. 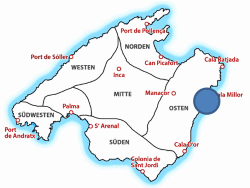 There are countless places to visit on this Balearic Island. Step away from the packed-out places that all the holidaymakers flock to and get in touch with a more authentic side to Mallorca. The artist’s village of Valldemossa is a popular pick. 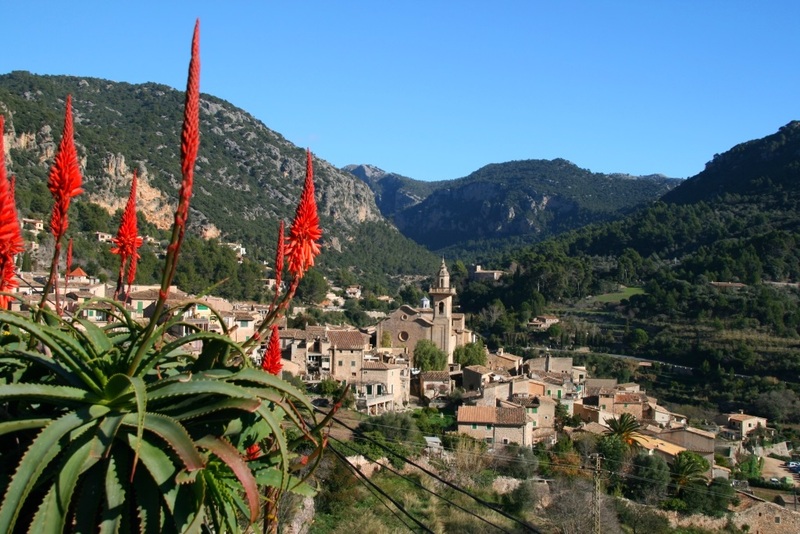 This pretty little village finds itself right in the hills of Tramuntana. You get more than your fair share of culture in this serene valley side village. This village was once home to Freferic Chopin who is a famous composer. Culture is hiding behind every corner in this quaint village, it’s nigh on impossible to fall in love with its old-world charm! The captivating combination of majestic mountains and the marvellous Mediterranean Sea make Mallorca a truly magical place. The cliffs that follow the island’s coast not only define the luscious landscape but also rise staggeringly high and are quite a sight to see. An island tour takes you closer to these natural wonders. Go along to the village of Valldemossa and then onto Sóller and its pretty port. The Tren de Sóller is one of the most beautiful train rides in the world. It is an old-fashioned train that runs on steam. Taking a ride is a real treat in Mallorca. Opt for the island tour and get to ride on the train as part of the day out. The village of Sóller is a great place to stock up on artisanal goodies and the port is perfect for a seafront paella. Plenty of boat trips set off from the port as well. Don't miss the famous "Red Lighning" - called Tren de Soller". 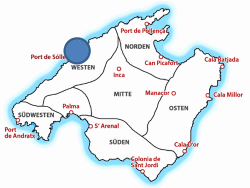 The long-established train runs in the Port of Soller port and on the route between Palma and Soller. 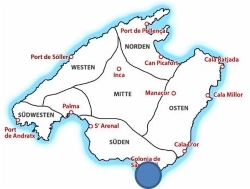 Full-day island tour in Mallorca with train "Tren de Soller"
The northernmost tip in Mallorca "Cap Formentor"
Perhaps you’re staying in the South and you’re unsure of what the North has in store. Fear not, the North in Mallorca has a lot to serve up for tourists and locals alike. 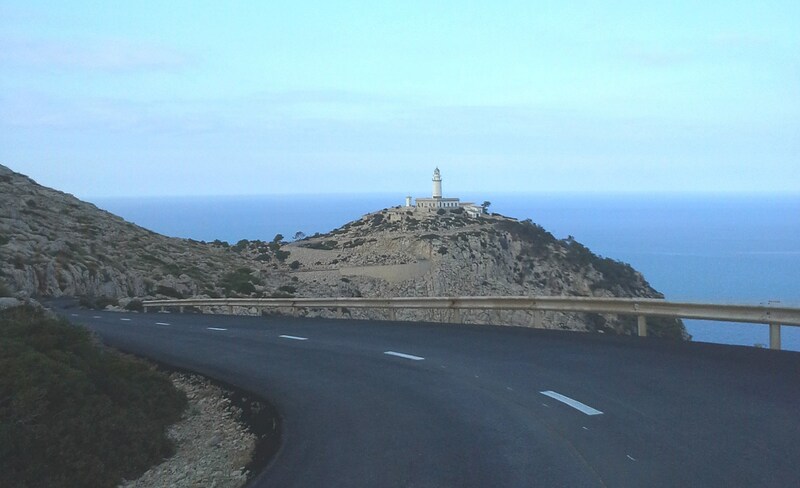 Reach Cap Formentor by heading out from Puerto Pollensa and taking a winding road and following it along for 14km. You greeted by the lush lighthouse when you get to the end of the road. The cliffs rise almost 400m above sea level and have been sculpted by nature. Locals often call this point the “Punto de encuentro de los vientos” which would translate to mean the point where the winds meet. From the lighthouse, you get the best of the bunch in terms of panoramic views in Mallorca and you can even spot Menorca twinkling in the distance too! Back when Mallorca was sectioned off and privately owned, this particular part was owned by a Mallorcan poet who had the lighthouse built. From the lighthouse you have probably the most breathtaking panoramic view over the north coast of Mallorca and the neighbouring island Menorca is in sight. Before the peninsula was sold in parts in the 19th century, it was privately owned by a Mallorcan poet who had the lighthouse and the paths to it built. You can pop along to this pretty place on either the full-day excursion there or by taking a beautiful boat trip there. Due to the terrain there, hikes are all the rage – check them out here. It’s crazy but it’s true, there are over 4000 caves in Mallorca, many are not open to the public and a few can only be reached by swimming to them. The best of the bunch is "Cuevas del Drach" which is loved by everyone! 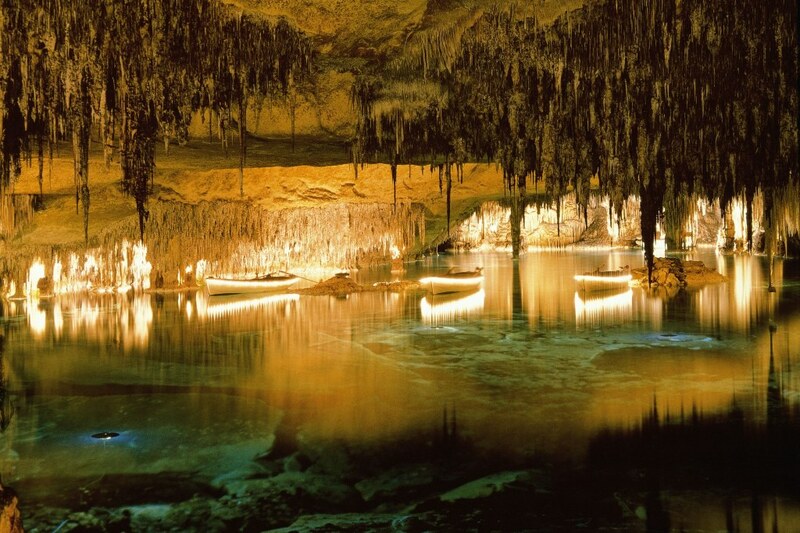 This beautiful must-see in Mallorca is based in Porto Cristo and has been open to the public for around a century now. Cast your eyes on the biggest cave lake in Europe! The cave is lit up perfectly so that every shape and structure is caught in its best light. During summer, they put on a classical concert which really sets the place on fire! The visits are always carried out in groups but there aren’t any tour guides so to speak. Visit of The Dragon Cave "Cuevas del Drach"
There are 18 mini islands in total which make up the Cabrera Island Group which is just South of Mallorca. They are not only rocky and pretty much untouched but also uninhabited! The biggest one: Cabrera Island itself can be seen in person by hopping on a boat tour. There was a small herd living there and feeding off the natural flora, but they had to be resettled a few years ago due to the lack of food. The group of Cabrera Islands have been declared as a nature reserve and is under special protection because of that. Private boats need a permit to make it there and only 50 boats per day can visit the island and that’s only if they go to a certain area. Dropping the anchor is forbidden and this is done to ensure that the seabed stays in its natural state. There are three caves to pop along to, the most famous of them all is Cueva Blava. The whole cave is lit up with a blue hue which makes everything look brilliantly blue and beautiful. Take a trip along to the gorgeous gorge in Serra Tramuntana. 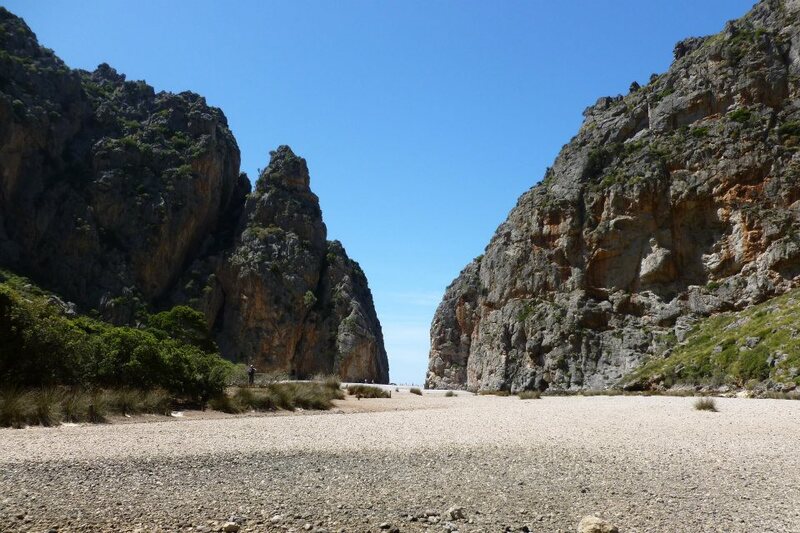 There are a couple of torrents in Mallorca, but the best of the bunch is hands down: Torrent de Pareis. This is the second largest canyon in Europe and is well worth a visit. The cliffs are overwhelmingly big and stand 200 metres high. It’s taken more than 6 million years for this natural phenomenon to form and the limestone continues to be eroded day by day. It is a bit of a mission to get there but it’s all part of the fun. Zigzag your way along to river bed via gravel, grass and anything and everything in between. The last 3km of the estuary hike is full of rocks which are sure to block you and make it more challenging. You need stamina, concentration and a can-do attitude. Climb, slide, crawl and jump until you reap the benefits of the mighty trek! It is not recommended and virtually impossible to do the tour without the help of a professional guide, the local knowhow and knowledge about the conditions. You can visit the Torrent de Pareis all year round but please bear in mind that sometimes there is no other option than to postpone tours between November and April if there is heavy rainfall and/or flooding. The church is a big deal in North West Mallorca with pilgrims and other tourists swarming to see its stunning Virgin Mary Statue. It was built in the thirteenth century to be precise! The restoration work has been going on pretty much ever since. 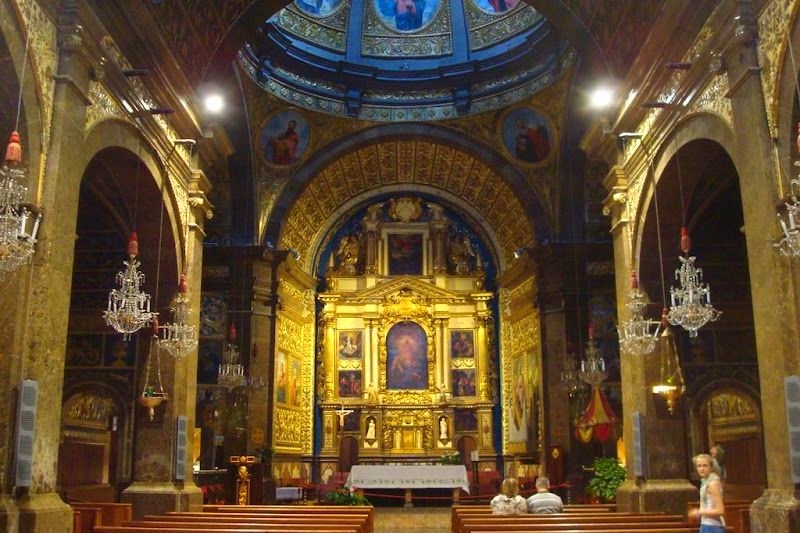 Many moons ago they held regular masses in honour of Virgin Mary where the boys’ choir would sing hymns. There is a boarding school for boys that is still there to this day and there is a big focus on musical talent and ability there. With any luck, you’ll be able to hear them practising. It can be reached in half an hour from Palma so it’s not in the sticks! A museum was added alongside it back in 1954 and is home to an array of impressive historical objects and paintings as well as a stunning botanical garden. On top of all that, the monastery administration has a surprising 130 rooms for overnight stays, pilgrims and tourists alike are happy to spend the night taking a journey into the past. Scroll through and come across a massive selection of things to do in Mallorca from leisure and action to culture and cuisine – we’ve got you covered from every angle. Get everything sorted out way ahead of time by booking your tours, activities and excursions in Mallorca online. Make your way to all the top spots on the island and leave no stone unturned. Create the ideal itinerary that’s right up your street!